EMS Solutions Inc. has released the new updated Roster Tool Software. It is available for purchase and immediate download through http://www.emssolutions.org/. 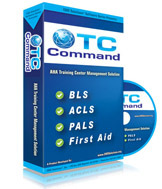 TC Command is an innovative data-tracking and management software program specifically designed for AHA Training Centers. Developed by a certified AHA instructor, TC Command addresses all your specific tasks, with a module for each area: from easy course card printing, registration, and inventory-- to creating AHA reports and student/staff correspondence in minutes. 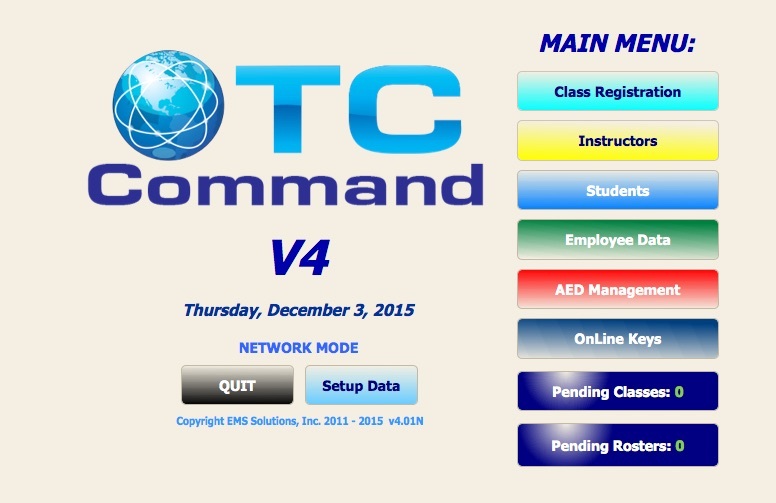 TC Command helps you streamline these tasks, giving you more time to manage and market your Training Center. Its easy to learn and easy to use. wonder how you managed without it! READ BEFORE upgrading to OSX LION. FileMaker Pro 9.0v3 updater now availible to fix certain printing problems.